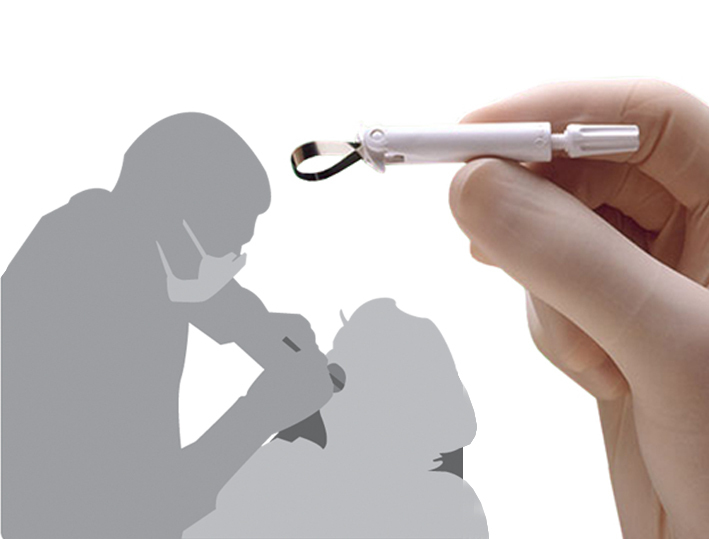 If there is any product design firm that has extensive experience designing dental products, it’s Spark Innovations. We know about vast number of dental products inside and out. We have worked for over 15 years in the oral health industry on a number of projects for various organizations, so much so we spun a company out of it, Brushpoint Innovations. Our team has had a hand in designing everything from toothpicks to flossers, manual toothbrushes, denture related products, power toothbrushes, and even professional dental equipment for dentists. Below are just a few of the products we have designed. This sonic brush utilizes patent pending technology, incorporating active sonic vibrations which help better clean your teeth. 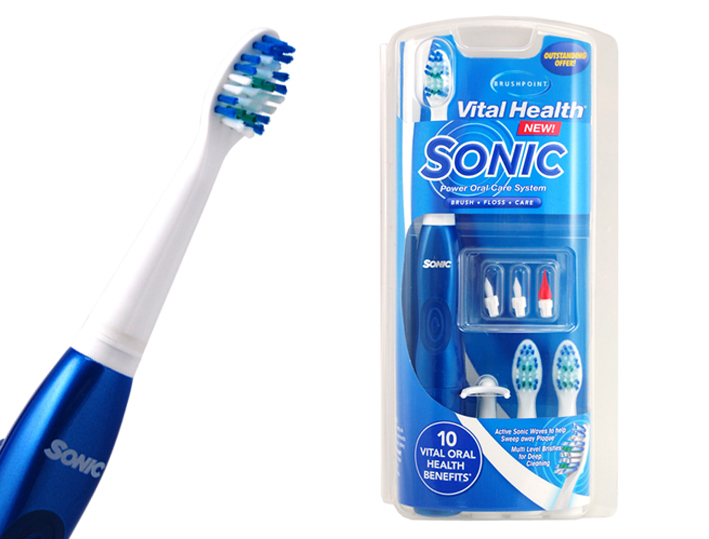 This unique battery powered Sonic Toothbrush provides over 22,000 active sonic vibrations per minute to do this. Its ergonomic design provides multi-level bristles to penetrate all section of your teeth and a slim metallic handle for elegant handling. Check out the design process! When it comes to fun and getting your children to brush their teeth, no one can do the trick better than Scooby-Doo or some Super Heroes! 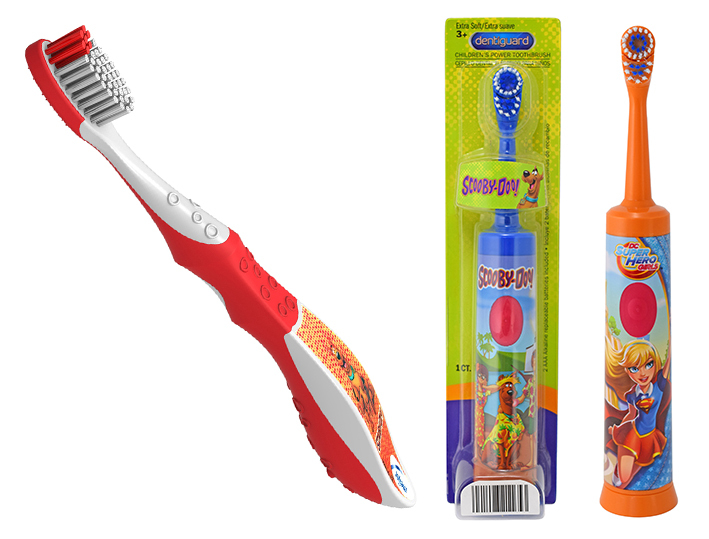 The Children’s Toothbrush, power or manual, makes brushing more enjoyable for children. The large smooth surface maximizes the graphic image of their favourite character. The Omni Matrix was the first high functionality disposable matrix system. Developed in conjunction with dentists, the Omni Matrix articulating head swivels to fit comfortably into any quadrant of the patient’s mouth, making the procedure faster and easier. Whether it’s designing flossers, floss picks, power or manual brushes, denture brushes and, even dental tools, Spark has been a part of a process that has led to many meaningful oral health products. 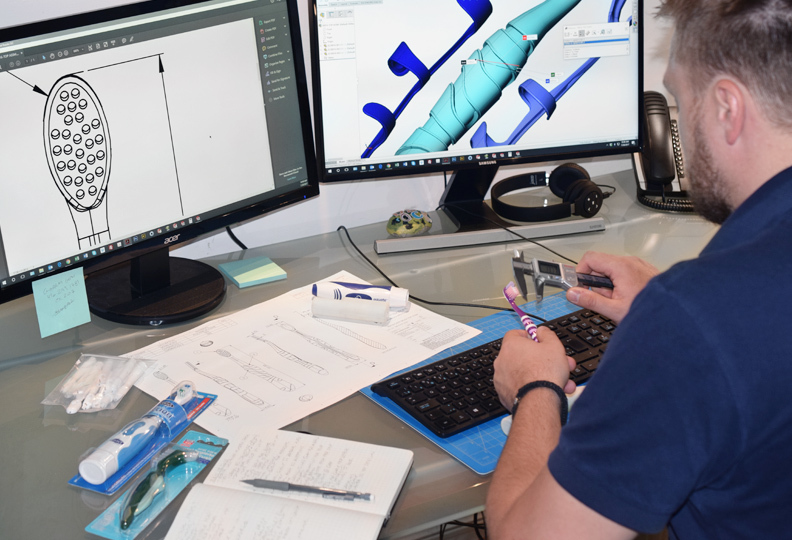 When it comes to power or manual toothbrushes, our industrial designers and mechanical engineers have expert knowledge of every step of dental product design. 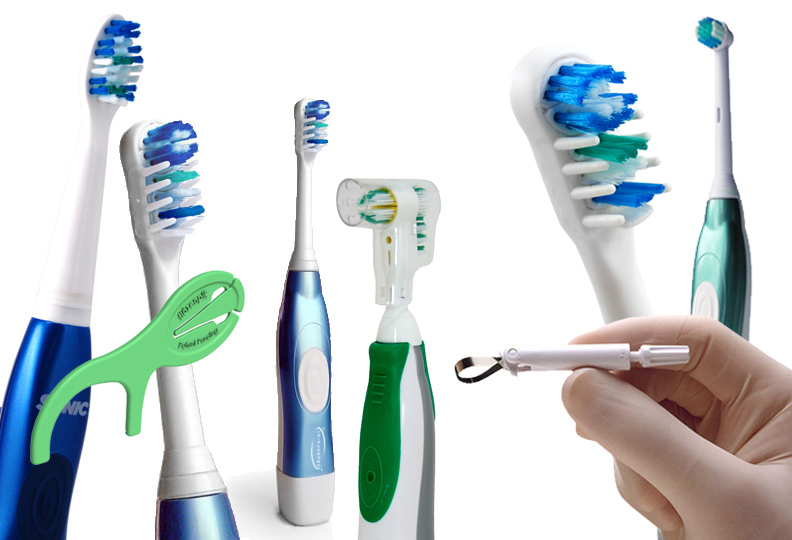 Whether you are at the beginning stage of an idea for a new toothbrush, stuck in the middle, or almost at the end, our experts at Spark Innovations can help you bring your ideas to life.